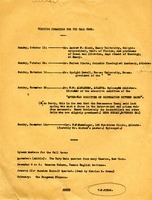 This is a donation from Mrs. Wm. G. Rockefeller for $150. A reminder of the pledge Mrs. Rockefeller made at the birthday dinner. 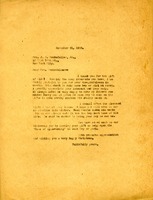 Kelly, secretary to Mrs. J.D. 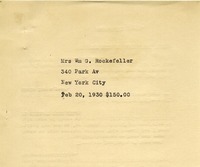 Rockefeller, Jr., encloses Mrs. Rockefeller's contribution. 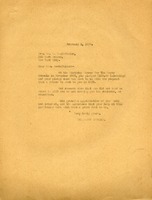 Kelly, secretary to Mrs. J.D. Rockefeller, Jr., notes that Mrs Rockefeller will send her usual $100 contribution now instead of later, and that Mrs Rockefeller hopes it will help get Berry through a critical time of need. 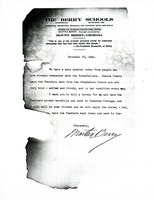 Mrs Churchill asks Miss Berry to send her a Berry School's recipe so that she can have it included with some other Georgia recipes that will be printed in the New York Herald Tribune; Mrs Churchill intends to get information about Berry included in the newspaper. 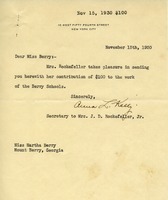 Letter to Martha Berry from Mrs. J. D. Rockefeller, Jr.
Mrs. Rockefeller's secretary Anna L. Kelly writes on behalf of Mrs. Rockefeller to send her $100 donation to the work of the Berry Schools. 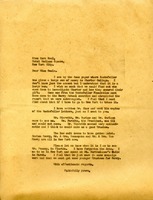 Berry writes to Hamrick about preparing a special order of feathers. 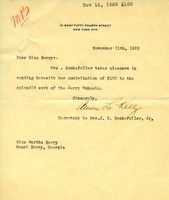 In this letter Martha Berry is thanking Mrs.Rockefeller for her donation of one hundred dollars. 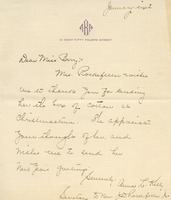 Martha Berry also invites Mrs. Rockefeller to stay at Berry. Martha Berry writes to Cora Neal to talk about the recent donation to Shorter College from the Rockefeller Foundation. She expresses her desire to find out "how they secured their gift." Berry thanks McGuire for making the Berry meeting a success. She encloses an article, telling McGuire that some people have gotten the wrong idea about gifts to the school from Rockefeller. 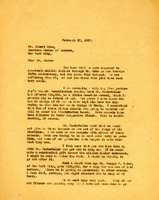 Berry asks for a copy of a photograph taken at Mrs. Hammond's dinner. 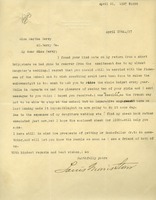 Louis Morris Starr regrets to hear that Martha Berry is still worried about the finances of the school. He sends a check for $1000, saying that his checkbook was rather emaciated due to his daughter's recent wedding but hoping that the check will help some. He also informs Berry that he will attempt to speak to Mr. Rockefeller Jr. about her financial needs. 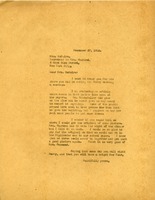 Anna L. Kelly, secretary to Mrs. John D. Rockefeller, Jr., writes on behalf of Mrs. Rockefeller to thank Berry for the Christmas cotton.